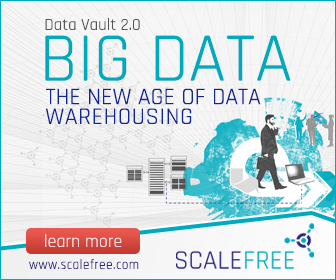 I’m delighted to announce that I have joined Scalefree, a Big Data consulting firm which is the only officially licensed provider of Dan Linstedt’s Data Vault 2.0 trainings in Europe. Please check out our web site at http://www.scalefree.com for more details. In Deutschland, der Schweiz und Österreich auf deutsch, in all other cases: teached in English. A short article that describes how to find abbreviations in Word documents, for example when creating a list of abbreviations. Just replaced my old LinkSys router by the Asus RT-AC68U. DD-WRT seems not to be available. Only a thread that describes how to flash it. Not sure when I will do the flashing. My first and most probably last search on Altavista. I have recently bought a Canon CanoScan 9000F Mark II for scanning the picture library of my parents. They got negatives and Dia film so I was in need for a scanner to handle both. Regardless of whether you are working on a traditional or big data project, business intelligence analytics or transactional systems, new or legacy systems – data is at the heart of what we do and therefore data modeling is a critical success factor of any development effort. Improve you data modeling skills this year at DMZ! After a fatal crash of one of my hard disks in my mirror’d NAS System, I planned to replace it with something else. I was not very happy with D-Link’s configuration of the RAID mirror: after removing one of the hard disks and re-inserting it, the whole mirror was re-formatted and all data gone. Testdisk helped me to recover all data, but it was clear that I would not use the D-Link NAS in the future again. After some searching, I found Alt-F which is an alternative firmware for the aging NAS system. It offers much more features than the original D-Link firmware but is only available as a release candidate (as of May 2013). I’m going to give it a try, the worst case is that I have to use testdisk again to recover all my data. This article describes the setup of my DNS-323 NAS with Alt-F.